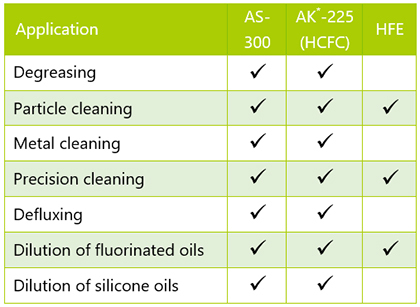 AMOLEA™ AS-300 is a next-generation, fluorinated, non-flammable solvent with low environmental impact and maximum cleaning power. *ASAHIKLIN™ AK-225 shown for comparison only. Not available for sale in Europe.